Before as selling your iPhone or giving it away. 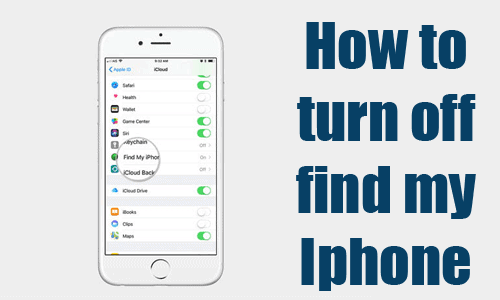 It is recommended that you Turn off Find my iPhone and erasing your iPhone for security reasons. 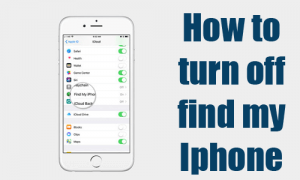 However, before erasing an iPhone, you need to turn off find my iPhone. Then go to Find My iPhone. Swipe the green toggle to off. Go to My Devices under the settings, then select one of your devices, then click the cancel icon attached to its name. Find my iPhone is certainly of the feature that makes iPhone rated as the best on the planet. It is an anti-theft feature that allows users to locate their phone remotely. when Find my iPhone is activated on an Apple device you can simply log on to iCloud and see the current location on a map. Furthermore, you can do the following with find my iPhone. Play sound – The phone plays a tone, even if the device is set to vibrate or silent mode. Thus, the Find my iPhone feature overrides that alert mode. This option is mostly used if you are sure that the phone is around your present location. 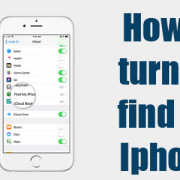 Lost mode – This option also plays a tone to draw attention to the missing phone. With this, the app request for a number that will be displayed on the screen. It is advisable to fill a number that is readily available. Erase – This is the last resort to protect your files and data on the phone. Because you can remotely delete all the data on your phone. Thus wipe the phone clean so if it is eventually accessed there will be no personal files on it.